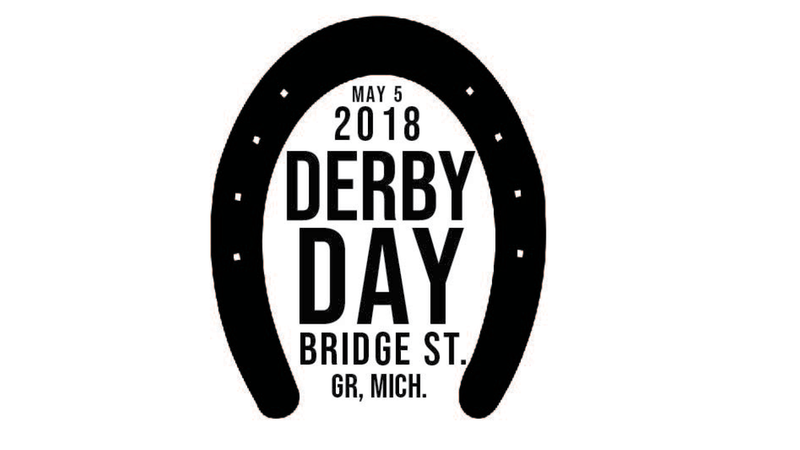 Grand Rapids, Mich. - Derby Day Bar Crawl on Bridge will celebrate the greatest two minutes in sports with a Kentucky Derby themed bar crawl down Bridge Street NW on Saturday, May 5th, 2018 from 12:00pm to 7:00pm on the Westside of Grand Rapids. Stretching on Bridge Street between Summer Ave and Lexington the event boasts participants including the Knickerbocker, Butcher's Union, O'Toole's, Sovengard, Anchor Bar, One Bourbon and Harmony Hall. The co-op will officially release tickets on Saturday, April 14th beginning at 11:00am. Presale general admission tickets will be available for $10 for one week only until Saturday, April 21st. After April 21st, general admission tickets will be available for $15. Tickets will also be available at the gates while supplies last for $20. Photos will be taken at registration and loaded onto our Facebook and Instagram feeds. Finalists will be determined by the most likes, comments and shares on social media judged by the Derby Day Co-Op before the Grand Finale. Winners will be determined by round of applause and panel of judges.